the need to support sufferers from asbestos-related diseases. Amongst delegates at the conference were representatives from asbestos producing, consuming and exporting countries. The provision of simultaneous translation in English, French, Italian, Spanish, Russian, German and Portuguese facilitated the exchange of views during plenary sessions and discussions. The right to a safe working environment is a fundamental human right and the hazardous exposures experienced by construction workers should be regarded as a priority issue by all governments. The transfer of dangerous asbestos technology to developing countries cannot and should not be countenanced, nor should the profit-driven and aggressive lobbying by global asbestos stakeholders. Recalling his first encounter in Germany with the asbestos lobby in the 1970s, Wiesehugel explained that since then vested asbestos interests have repeatedly used the same ploys including: the setting up of independent bodies to sing the praises of asbestos, the commissioning of sham scientific studies, the distribution of financial and other inducements to trade unions to encourage cooperation and the assurances that new technology and modern working practices can ensure the safe use of asbestos. Referring to a parallel meeting being held concurrently in the same hotel by the International Alliance of Chrysotile Trade Unions, Wiesehugel pondered how after being supported for so many years by the BWI and other labor federations, trade unions from Russia, Kazakhstan and other former Soviet countries can now afford to produce glossy multilingual propaganda, mount two and three-day conferences in Moscow (2007) and Vienna (2008) and sponsor the travel and lodging expenses for speakers and delegates to these venues. Wiesehugel concluded his remarks by calling for further action to protect those still at-risk and support those suffering from asbestos-related diseases. The next speaker, Fiona Murie, the BWI's Director of Health and Safety, spoke about The BWI Global Asbestos Campaign. Exhibiting a photograph of an Indian worker covered in asbestos, Murie said that the much-loved industry phrase of controlled use was a myth. The BWI works, she said, in many developing countries, where there is low life expectancy, poverty, exploitative labor practices and non-unionized workplaces. People in the building trades are poor and live in slums; they are exposed to asbestos on a daily basis and have no idea of the hazards they are facing. Having observed the epidemic in industrialized countries and the awful conditions which prevail in so many developing countries, the BWI feels that the ILO/WHO's estimate of 100,000 asbestos-related deaths/year is a serious underestimate. The BWI and its affiliates are working to reduce the hazard at source and to empower workers to protect themselves not only from the asbestos hazard, but from the dangers of occupational exposure to silica, pesticides, solvents, formaldehyde and wood dust. The BWI is organizing conferences, meetings, training courses, campaign and education materials, rallies and demonstrations. In its on-going campaign the BWI is part of a coalition of national agencies, ministries, public health officials, asbestos victims' groups, at-risk workers and NGOs which is disseminating information to trade unionists in asbestos using and producing countries. 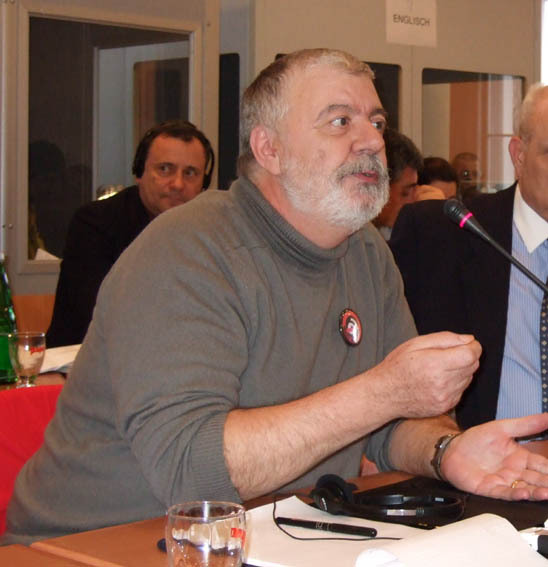 Murie urged everyone at the meeting to lobby their governments for the implementation of national asbestos action plans and pointed out that International Workers' Memorial Day on April 28, 2008 will be a key date for activities. Speaking on behalf of both the WHO and the ILO, Dr. Igor Fedotov, from the ILO's Programme on Safety and Health at Work and the Environment, said there is no doubt that asbestos is the most lethal occupational carcinogen, accounting for 54% of all occupational cancer deaths. In developed nations such as the UK and France, the number of deaths will continue to rise for the foreseeable future. In France, the government predicts the annual bill will range from €27-37 billion for the next 20 years. All types of asbestos cause asbestosis, mesothelioma and lung cancer. No safe threshold level of exposure has been identified. Exposure of workers and other users of asbestos containing products is extremely difficult to control. Asbestos abatement is very costly and hard to be carried out in a completely safe way. Resolution WHA 60.26 from 2007 Workers' Health: Global Plan of Action. The ILO does not now nor has it ever promoted the safe use of asbestos. Work by the ILO, the WHO and Member States is on-going to devise national programs for the elimination of asbestos-related diseases; a major component of these programs is a national ban on future asbestos use. 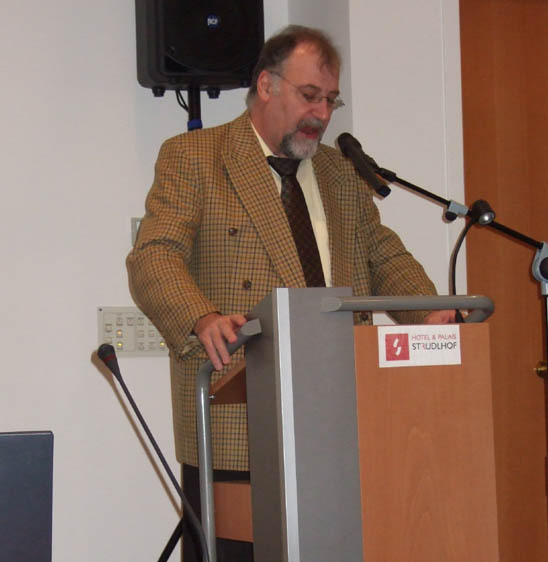 Dr. Klaus Bartels from the International Social Security Association (ISSA) reaffirmed his organization's call for a global ban on asbestos. Reviewing the various fiber types, illnesses and multiple uses of asbestos, Bartels explained that the use of asbestos represents a human time bomb. In his home country of Germany, there is a significant under-claiming of government benefits by the asbestos-injured. In 2005, the latest year for which there is data, of 2,484 insured employees who died of an occupational illness, 1,527 (~60%) had asbestos-related diseases. When this figure is compared to the 1,084 fatal accidents in 2005, the enormity of Germany's asbestos legacy becomes clear. The total asbestos costs paid by the Institution for Statutory Accident Insurance in the Chemical Industry in Germany in 2005, including hospital and out-patient bills and compensation payments, was more than €100 million. 1996 BAN Seminar, Strasbourg, France. The IBAS works with the virtual ban asbestos network to monitor and analyze information and raise the profile of asbestos victim support groups. The number, geographical distribution and commitment of the members of the virtual ban asbestos network are the most important resources and major strengths of IBAS. Working closely with its social partners, this grassroots network has facilitated international asbestos activities in 6 of the 7 continents  Antarctica, being the sole exception. Concluding her presentation, Kazan-Allen highlighted the joint projects and close cooperation of IBAS and the BWI at major events in Brazil, Belgium, Japan and Thailand. She stressed that the work to achieve a global ban on asbestos and justice for all asbestos sufferers would continue. John Sutton, the President of the Trades Union International of Workers in the Building, Wood, Building Materials and Allied Industries (UITBB) and the National Secretary of the CFMEU, the main construction union in Australia, spoke of his international and national experiences with asbestos. 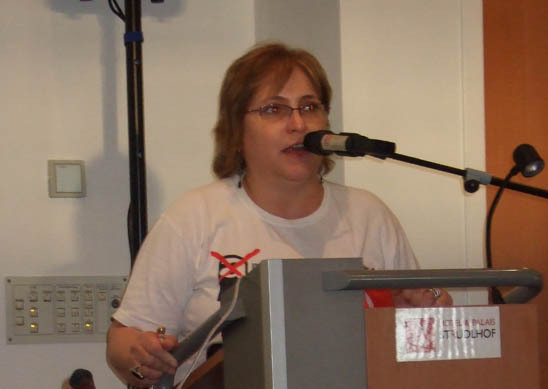 the 14th UITBB Conference in Athens (2006), where the organization's opposition to asbestos was formalized in a resolution calling on UITBB affiliates to campaign against asbestos use through industrial and political action at national and international levels. An asbestos seminar in Helsinki (2007), held by the UITBB in collaboration with the Finnish Health Front and the active involvement of victims' associations, widows and health professionals, adopted a resolution calling on national governments to: provide early retirement and appropriate compensation for the injured, implement and enforce regulations. The UITBB mounted a day of action to highlight the Canadian Government's support for the global asbestos lobby. In September 2005, 17 trade unions in 15 countries held simultaneous protests outside Canadian embassies to the great embarrassment of the Canadian Government. Both the UITBB and the BWI are driven by a desire to improve living standards for members and prevent occupational disease. 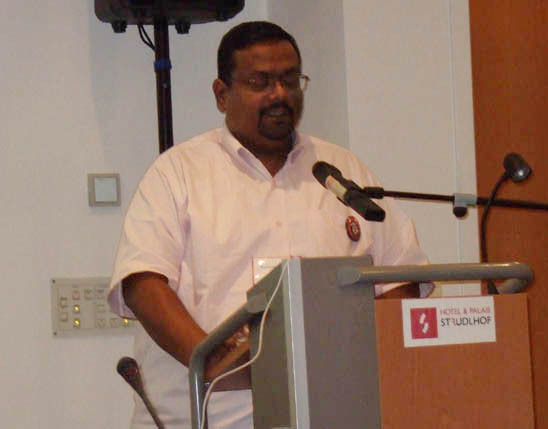 The UITBB hopes to continue its working partnership on the asbestos issue with other unions and social partners. The final presentation in the morning session Substitutes for Asbestos in Cement Sheet Production was made by Magne Dastol, from Elkem Materials, a Norwegian manufacturer of raw materials for non-asbestos cement products. Asbestos-cement consists typically of 10-15% asbestos, 85-90% Portland cement and water. It is generally used to make corrugated sheets for roofing and flat sheets for side boards. Although there is no single fiber that can directly be substituted for asbestos, there are new composites which have the same strength and durability. PVA or cellulose fibers can replace asbestos in asbestos-cement; much less of the alternatives are needed in the non-asbestos-cement mix, typically 2 and 3% respectively. While it is difficult to estimate the cost of converting from asbestos to non-asbestos production, some figures were provided for an industrialized country with high durability requirements such as is found in Northern Europe. A tonne of non-asbestos-cement would cost €205 in raw materials, while the asbestos version would be €140 (31% less). However, raw materials are only part of the cost equation; thus the overall cost increase for the safer finished product may be 15-20%. Fortunately, in Europe where most countries have banned asbestos, cement producers compete on a level playing field. In non-ban countries, this is not the case. In China, raw materials needed for the production of one tonne of non-asbestos-cement cost €132 vs. €87 for the asbestos variety, making the asbestos-cement 34% cheaper than the safer alternative. Once again it must be remembered that raw materials are only a part of the total production cost, and other costs tend to be similar for the two types of products. While there are regional variations, Dastol reported that there is no major change in manpower required; this exposed as lies the industry-generated fears for job losses caused by converting to non-asbestos technology. Even in countries which have not banned asbestos, market forces, foreign investors, tourism and public awareness are driving cement manufacturers to phase out the use of asbestos. Dastol reported that major cement producers in Thailand are now converting their production lines to safer technologies. When all the costs of using asbestos are factored into the equation, the overall price paid by society for using asbestos makes it a much more expensive prospect. 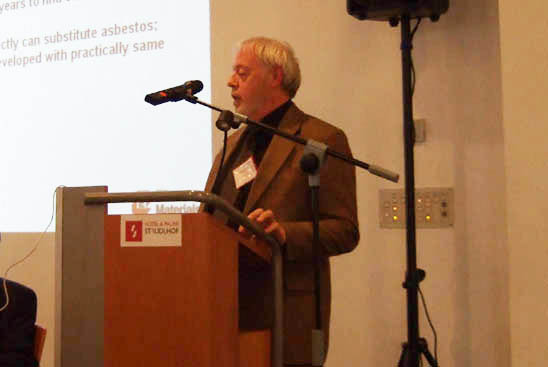 Lars Vedsmand from the European and Nordic Federations of Building and Woodworkers says that in Denmark, the relative risk of mesothelioma and lung cancer amongst carpenters/joiners, who were only exposed to chrysotile asbestos, are 2.2 and 1.1 respectively, with 76 cases of mesothelioma and 1,396 of lung cancer. There is no question that construction workers are at high-risk of contracting asbestos-related diseases. Even though 97% of all cancers are reported to the Danish Cancer Registry, a significant number of asbestos victims remain uncompensated. This under-recognition saves Danish insurers billions of euros. In 2007, the trade union embarked upon an outreach program to identify the lost cases; they identified 60 cases of asbestos-related illness which cost the insurers €10 million. Other asbestos activities of the trade union have included holding meetings, disseminating information, resolving conflicts, lobbying for stricter regulations and helping injured members. 1. The protection of workers currently at-risk from hazardous exposures to asbestos. A lack of political will in the Swiss Parliament resulted in the Government's failure to mandate the removal of asbestos from society. In light of this failure, the union adopted a pragmatic approach. Working with the relevant public authorities, social partners, insurers and other stakeholders a broad discussion on the protective measures needed has been formalized through establishing the Asbestos Forum of Switzerland, led by SUVA. This body has supported legal improvements including stricter TLVs and measures which protect workers, such as tradesmen and teachers, who use asbestos-contaminated buildings. The Forum has helped to address the problems arising from the lack of appropriate knowledge on worksites; asbestos is so varied and was used in such great quantities that action was needed to ensure that every employer and employee who came into contact with asbestos is informed. 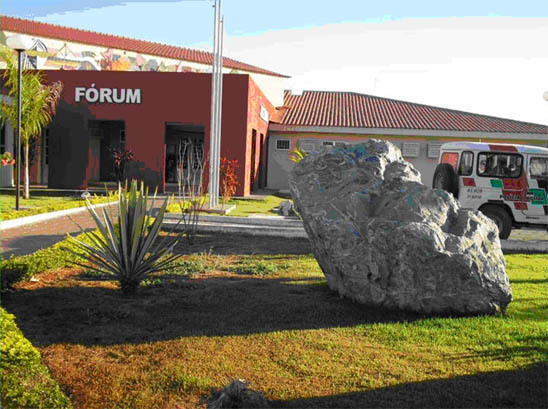 The members of the Forum produced an information brochure for workers and publications for do-it-yourself enthusiasts and tenants. 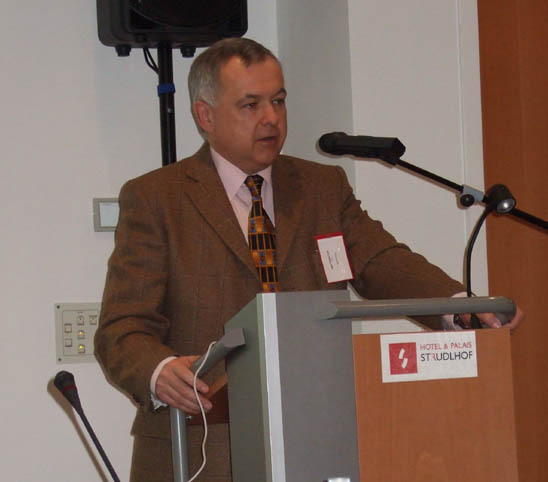 In 2007, a learning unit called Asbestos was published which is now being introduced into all vocational schools to keep knowledge of asbestos alive, because problems stemming from asbestos in Switzerland, Mordasini said, will be with us for decades. 2. The impact of the discussions on asbestos with respect to other toxins in the construction sector. Dealing with asbestos has contributed to awareness raising regarding other toxins in the construction and woodworking sectors. For example, the Labor Protection Authority and other groups (Suva, trade unions, employers) developed a project to raise awareness of toxins in tunnel construction and to improve health and safety; this program will be implemented in 2008/2009. 3. The support for asbestos victims. According to asbestos victims' support groups in Switzerland, there is insufficient recognition by doctors of cases of asbestos-related diseases, especially lung cancer; the statute of limitations also disadvantages victims. There is a specific problem over the rights of foreigners who worked in Switzerland in the 1970s-1980s, went home and developed asbestos-related diseases. These workers are unaware of the fact that they are entitled to bring compensation claims in Switzerland. In 2006, under the leadership of SUVA, a roundtable was organized with Italian agencies and trade unions to disseminate this information in the areas where Italian foreign workers now lived. There is an urgent need for cross-border action to ensure compensation is obtained by those who have been injured. 4. The campaign for a global ban. Concluding his presentation, Mordasini said that more needs to be done by Swiss organizations, trade unions and companies especially to promote the campaign for a global ban. 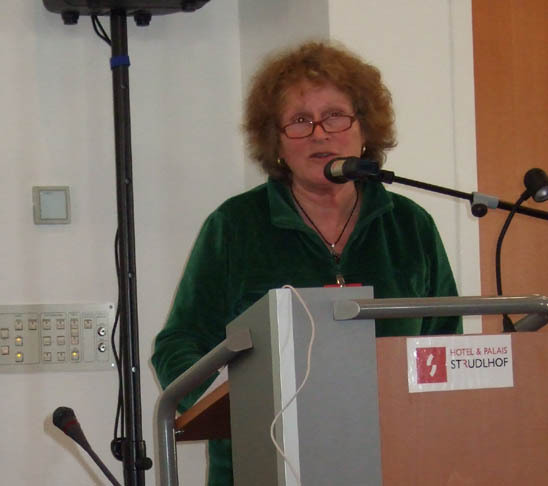 The next speaker was Maria Roselli, author of The Asbestos Lie, a book written in German about the operations of the Swiss Eternit Group and the Schmidheiny family which has owned it for 85 years. In 1929, the Schmidheiny family was instrumental in setting up an asbestos cartel in Switzerland which coordinated the global asbestos industry. Members of this cartel came from Switzerland, Belgium, Austria, Hungary, Great Britain and elsewhere. During its heyday in the 1970s-1980s, the Swiss-Belgian Eternit Empire, belonging to the Schmidheinys and Emsens, had 32,000 employees in 32 countries. Although the company had different names in different countries, asbestos was at the heart of all the operations. The book is the result of six years of research which began with an investigation of the situation of former Eternit guest workers who had returned home to Italy and contracted asbestos-related diseases. Many of these people are now being represented by Italian Prosecutor Raffaele Guariniello in a class action suit against Eternit. Also suffering from Eternit exposures are the people from the town of Casale Monferrato, the location of Eternit's biggest asbestos-cement factory in Italy. Fifty to sixty people die every year from asbestos cancer, having been environmentally exposed to asbestos liberated by the operations of this factory. The title The Asbestos Lie was chosen to reflect the many lies which people had been told about asbestos by this company. Eternit has consistently denied that its German factories had been run on slave labor during the 2nd World War. In the research for this book, Nadja Ofsjannikova, from Latvia, was located; she had been a forced laborer in the Berlin Eternit factory in 1943. Despite the documents which Rosselli found in the German archives which show that Ms. Ofsjannikova had worked for Eternit as a slave laborer, the spokesman of Stephen Schmidheiny continues to deny that such practices took place. Ms. Rosselli highlighted the need for other cancers, such as stomach, ovarian and intestinal, to be recognized as asbestos-related. She stressed the need for global action on issues such as the listing of chrysotile asbestos on the Rotterdam Convention and the harmonization of single limit values. Since 2003, CAOVA has been single-handedly fighting for these victims' rights against powerful vested interests including the Schmidheinys, owners of Eternit, and one of the richest families in the country. Recently, the tide has turned with TV documentaries and articles in the national media about the country's asbestos epidemic. Praising the Italian Prosecutor in Turin who is soon to take the case against Schmidheiny to court, she said that trade unions, and representatives of civil society should evince as much support as they can for this process. The final speaker of this session was Alan Ritchie, the General Secretary of UCATT, the UK's building workers trade union. As a young man, Ritchie was a carpenter and he worked with Maronite, an asbestos-containing product made by Cape Asbestos. As a shop steward and later as a convener, he was told that this product was safe. UCATT members, like all UK construction workers, are at high-risk of contracting asbestos cancer; 1% of all UK men born in the 1940s will die of mesothelioma. They have, Ritchie said, been murdered by the asbestos industry. In 1976, UCATT passed a motion at its National Conference to campaign for an asbestos ban and a zero tolerance of asbestos at work. UCATT members are told to stop all work if asbestos is found or if there is a suspicion of asbestos at worksites. Even though new regulations were put in place in 2006 (Control of Asbestos at Work Regulations), employers routinely break the law, the lack of enforcement makes it easy for them to do so. UCATT operates an asbestos register which collects information on asbestos exposures experienced by members for future use if needed. The Union has supported its asbestos-injured members in bringing landmark legal cases. Costing over a million pounds in legal and court fees, the Fairchild case could have bankrupted the union. Despite this risk, the union mounted the case of Mrs. Fairchild in her rightful attempt to obtain compensation for her husband's asbestos death. It took many years and many court appearances for this case to be won and for the rights of mesothelioma victims to be preserved. Unfortunately, asbestos defendants and insurers continue to challenge these rights in courts throughout the country and we have to remain ever-vigilant, Ritchie said. The latest development was the House of Lords decision in the pleural plaques case in October 2007. This decision means that pleural plaques, which have been compensated in the UK for more than 20 years, are no longer regarded as constituting a compensatable disease. UCATT is part of a campaign by UK trade unions and victims' groups demanding that the Government change the law and reinstate the rights of pleural plaque sufferers. Fernanda Giannasi, a Brazilian Labor Inspector, founding member of the national Association of Asbestos Victims (ABREA), and Coordinator of the Virtual Ban Asbestos Network in Latin America was the next speaker. She said that Brazil is now the world's 4th largest producer of asbestos, after Russia, Kazakhstan and China; it is also a major consumer. Two of the country's biggest asbestos groups, formerly owned by European companies, are now state enterprises and so, even with a socialist President such as Lula, the pressure for the continued use of asbestos is immense. Just a few weeks ago, a historic meeting took place in Minaçu which broke 40 years of silence on asbestos. Former asbestos mining workers came together with representatives from ABREA to form a new victim support group: the Association of Asbestos Victims of Mining in Brazil (AGEA). This is a development that few could have predicted 10 years ago. The mobilization of this group of workers in Minaçu, a town far away from Brazil's urban centers, is noteworthy. ABREA now has 8 groups in 5 states and is engaged in numerous activities and campaigns. One current outreach program is focused on informing Brazilian consumers of the presence of asbestos in everyday goods. To this end, the Project in the Park organized events throughout the Summer of 2007 in different public parks in São Paulo. Peaceful demonstrations were mounted and literature was distributed at locations such as the Brazilian-owned Petrol Company (Petrobras). In June 2008, there will be a meeting in São Paulo entitled Asbestos: Medical, Social and Legal Aspects. Concluding her talk, Ms. Giannasi invited delegates to come to Brazil for this meeting and expressed ABREA's solidarity with asbestos victims in Eastern and Central Europe. The second Brazilian speaker on the agenda was Edison Bernardes, the President of Solidaridade, a Brazilian trade union affiliate of the BWI. In Brazil, Bernardes said, there is a difference of opinion on asbestos among the trade unions. His trade union and many others agree that asbestos must be banned; the asbestos mining workers' union and some members of the building and woodworkers' union (also affiliated with the BWI) allege that asbestos can be used safely under controlled conditions. An interministerial commission, headed by a Labour Ministry's representative (Domingos Lino), was set up to debate this issue. This commission was a sham! After two years they concluded that there are two positions on asbestos in Brazil: one which supports asbestos use and one which believes it must be banned. 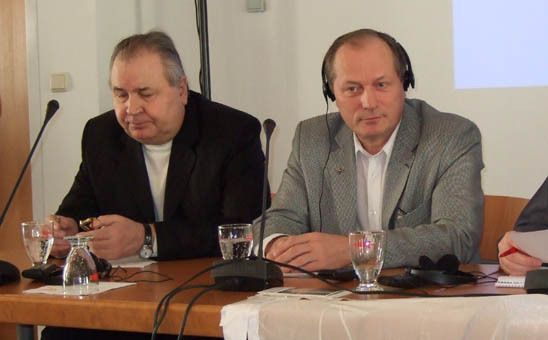 During negotiations to set compensation levels for victims of pleural plaques, asbestosis and asbestos-related cancer, the pro-asbestos unions, organized by the National Trade Union Confederation of Asbestos Workers (CNTA), backed compensation levels even lower than those proposed by the Public Ministry and its prosecutors. The CNTA is, said Bernardes, so deeply entrenched with industry stakeholders that it has betrayed the injured workers. 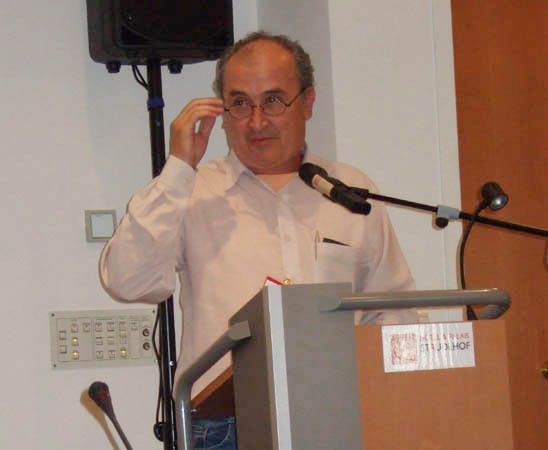 The speaker denounced clause 59 of the agreement between the CNTA and the Brazilian Chrysotile Institute (BCI) which mandates BCI's financial support of CNTA actions to defend chrysotile asbestos.1 Members from the CNTA were brought to Vienna to attend the counter meeting held by the Chrysotile Trade Union Alliance. Karnan Ramamurthy, known to his friends as Karnan, is the President of the INRLF and the General Secretary of the TCWF, BWI affiliates in India.2 He told the meeting that asbestos was an unknown quantity in India: 99.9% of people are not aware of the harmful effects of asbestos. The industry is engaged in a sustained campaign to keep it that way. In this information vacuum, 30 million construction workers are being occupationally exposed to asbestos roofing materials, water pipes or other hazardous products on a daily basis. Despite a Supreme Court of India ruling that the Government of India must comply with ILO resolutions, including the asbestos resolution adopted in June 2006, no action has been taken. Although the Union Ministry of Health admits that asbestos is a health hazard, it says it is helpless in the face of such strong industry lobbying. In India, galvanized steel is used as an alternative to asbestos-containing roofing; the steel products are more expensive because of higher import duties imposed on the raw materials by the Government. A new galvanized steel factory is being constructed by Tata Steel which will reduce the price of the steel products. As the manufacturing sector is expanding in India, multinational corporations are moving there; most refuse to use asbestos in the construction of their facilities. These include global names such as Nokia, Samsung, Renault and Saint Gobain. An on-going World Bank irrigation project is now replacing asbestos pipes with seamless steel pipes and the petrochemical industry is also using safer alternatives. Karnan called for letters to be sent to the Government of India to protest its intention to eliminate import duty on chrysotile and lift the ban on asbestos mining in India. Fred Gona is responsible for Parliament and Government Relations for the National Union of Mineworkers (NUM) in South Africa. In the next presentation, he set the South African asbestos experience in its historical context and highlighted the NUM's efforts to deal with the country's devastating asbestos legacy. Although South Africa's asbestos mining industry generated vast wealth for international mining companies, it resulted in the extensive exposure of workers and the communities to asbestos dust. Debilitating asbestos-related diseases have, he said reached epidemic proportions in former mining and labor sending areas (called homelands under apartheid). Although all asbestos mining has ceased in the country, transport and construction workers remain at high risk; the former from the transit of asbestos and asbestos-cement products from Zimbabwe through South Africa and the latter from the presence of asbestos-containing products in many South African buildings, especially low-cost housing. An examination of the records of 1,200 former chrysotile asbestos workers from Mpumalanga Province revealed that up to 36% had contracted asbestos-related diseases. The lack of unemployment insurance makes compensation for these diseases the only source of income for former asbestos workers. Legal cases, supported by the NUM, against European asbestos companies, Cape PLC, Gefco and Gencor, succeeded in extracting a total of ZAR569 million (€50.56m/$74.21m) for the injured from the negligent corporations. For a number of years, the NUM has been lobbying for a national asbestos ban, which should come into force later this year (2008). 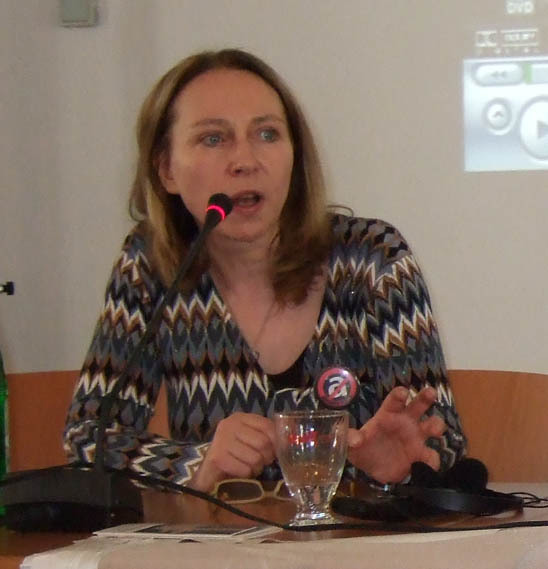 Gona called for collective, inclusive and decisive actions to address issues of asbestos-related poverty, provide medical care, prevent current and future exposures, stop the import of hazardous materials, rehabilitate contaminated land and communities and, working with affected workers and communities, develop sustainable programs. Beginning the session on the subject of the Austrian response to its asbestos problem was Peter Vavken, the Director of the Austrian Accident Insurance Fund (AUVA); with four million insured, the AUVA is the largest insurer in Austria. Data collected by the AUVA has confirmed the serious consequences of the country's asbestos history. Since October 2003, the AUVA has operated a voluntary program, working with employers, employees and social partners to provide a care program for workers who were exposed to asbestos over long periods of time. The objective was to diagnose diseases as soon as possible so that every available option was explored to return the injured to good health. The AUVA understands the need for prompt action with these serious diseases and provides a customer-oriented service. 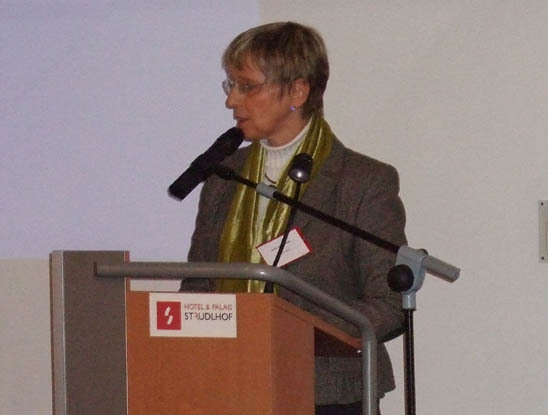 Continuing the exposition of the AUVA's asbestos project was Ursula Dolezal-Berger who reiterated the objective of early diagnosis, especially in cases of asbestos-related lung cancer. The target groups were asbestos-exposed workers from high-risk industries and occupational groups; the intention was to be as inclusive as possible and to cover anyone who could have been occupationally exposed to asbestos. Because of the long latency period of these diseases and because the peak incidence is not expected until 2015-2020 in Austria, the scale of this project is massive. Since October 2003, €2.5m have been spent on implementing this program; this sum does not include compensation payments. The AUVA set up special centers in several cities which were intended to act as a one stop shop: a place where people can learn about the program, have detailed occupational histories taken, be referred for X-rays or CT scans,3 receive psycho-social counseling, legal advice, be provided with links to other organizations such as those specializing in cancer or hospice care, receive general advice on health and help to give up smoking. The support provided by this project is for the whole family and not just the affected individual. One of the purposes of this project was to compile a register of people in Austria who were exposed to asbestos and create a map of where hazardous exposures occurred. The problem of finding the exposed proved harder than had been anticipated as many had retired and the media proved uninterested in publicizing this initiative. Those people who were identified through the cooperation of shop stewards, councils, and companies were invited to come for a voluntary check-up and discussion. Those too sick to attend, received home visits. To date 57,000 people have been contacted; 4000+ individuals requested more information, 3795 had initial check-ups, 767 people showed indications of an asbestos-induced disease (20%) including 474 with pleural changes, 182 with asbestosis, 58 with mesothelioma and 52 with lung carcinoma. The presentation by Master Roofer Walter Buchegger described the part played by Austrian employers in the roofing and plastering sectors to develop guidelines for reducing the asbestos hazard. As so many Austrian houses are covered with asbestos-cement roofing, this problem is a very serious one for these categories of workers, especially for those who remove asbestos-containing roofing tiles. Before work on asbestos-cement roofing is permitted, a written work plan is compiled and authorized. This plan must include the number of workers needed on-site; only essential people should be present. Techniques to minimize the liberation of asbestos dust are mandatory and include strict regulations for the packaging and disposal of asbestos-containing waste. The practice of damping asbestos-containing roofing materials is not encouraged as this can lead to slippery conditions on rooftops and create the potential for falls. All new roofing materials used in Austria are asbestos-free. Procedures detailing best practice for floor layers have been compiled as there is the potential for them to be exposed to asbestos-containing floor and wall coverings. These procedures stipulate that in the presence of suspected materials, customers must be informed, samples sent to the laboratory for analysis, specialized companies employed to remove the contaminated material and a final report be made; during and after the removal, there must be air monitoring. Buchegger illustrated his talk with many photographs showing the removal of asbestos-cement roofing tiles and flooring from Austrian houses. Heinz Kropiunik, from Aetas Ziviltechniker GmbH, Austria, spoke about The Asbestos Management Plan for the Vienna International Center (VIC). The VIC, one of three global headquarters of the United Nations, has 7 buildings with a gross floor area of approximately 340,000 m2; the 1970s complex is owned by the Republic of Austria and leased to the UN for 99 years. During its construction, sprayed asbestos fireproofing, asbestos panels and ropes were used in air ducts, on doors, walls and partitions. Four thousand people work at the VIC complex including personnel from the UN, the International Atomic Energy Agency and the Preparatory Commission for the Comprehensive Nuclear-Test-Ban Treaty Organization. The decontamination of the VIC is the world's biggest asbestos removal project. 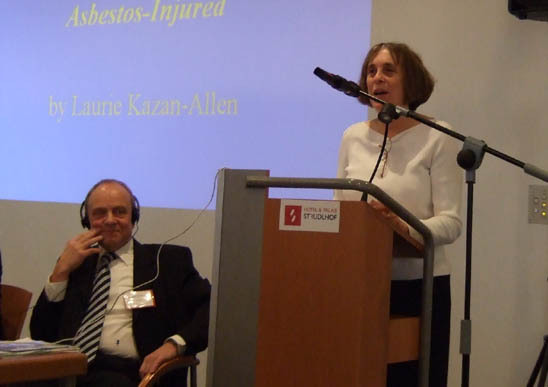 French campaigners have amassed a wealth of knowledge about the machinations of the asbestos lobby during their long and ultimately successful campaign to ban asbestos in France. 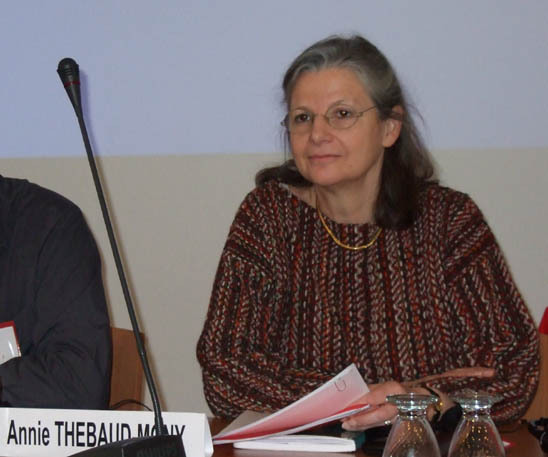 Dr. Annie Thebaud-Mony, Director of Research at Inserm, focused on strategies to break the impunity of the global asbestos lobby and to challenge their campaign to create doubt where none exists. 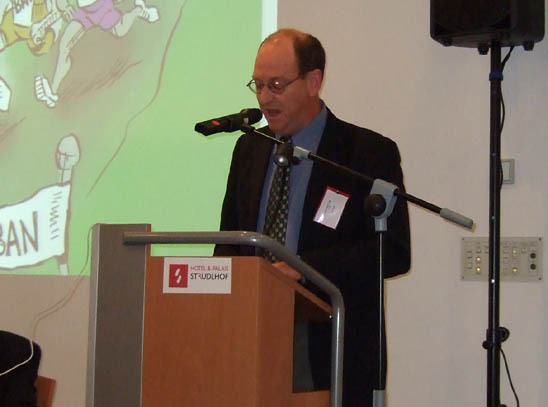 Pro-chrysotile campaigners, she said, display the work of paid industry scientists, such as David Bernstein, to justify the mythical policy of controlled use of asbestos. According to Bernstein's application of the concept of bio-persistence, because chrysotile fibers do not stay in the lungs as long as other asbestos fibers, they are not damaging. This is incorrect. Since the 1980s, independent scientists have repeatedly shown that the carcinogenicity of chrysotile fibers is not linked to the time they are present in the body rather it is the physical composition and reactiveness of the fibers when they are in the cell environment which causes the cancer process. The issue of bio-persistence is a red herring and part of industry's smokescreen to exonerate chrysotile asbestos. Furthermore, there is no need to undertake epidemiological studies in every country to prove that asbestos causes death; numerous studies have been done and the evidence is clear. The demand for country-specific studies in consuming countries is another stalling tactic used by vested interests to prolong the time during which profits can be made from the commercial exploitation of asbestos. In France, a grass roots social movement forced the government to ban asbestos and set up a national fund (FIVA) to compensate the injured. Unfortunately the operations of the Fund disguises the true horrors of the country's asbestos epidemic4 as settlements are made behind closed doors and not in the full public glare of court proceedings. Thebaud-Mony praised the efforts of Italian Prosecutor Raffaele Guariniello whose research has revealed 2,900 asbestos-related deaths caused by the operations of the Eternit asbestos group in Italy and Switzerland. The trial of the class action against Eternit is due to commence in Spring/Summer 2008 and support for this action was urged as the company's criminal negligence in permitting these hazardous exposures is tantamount to murder. Although we would support similar judicial actions in France, prosecutors have not shown themselves to be as brave as Italian Prosecutor Guariniello. Nevertheless, there have been some judicial triumphs. Recently the Alstom Power Boiler Company was convicted of exposing employees to asbestos. The court issued the maximum fine of €75,000 (US$96,435) on the company and passed a 9 month suspended sentence on former Director Bernard Gomez, ordering him to pay a fine of €3,000 (US$3,857). Each of the 150 workers in the civil action was awarded the sum of €10,000 (US$12,858). Thebaud-Mony called for an international labor criminal court to prosecute all those who profited from the commercialization of asbestos. Marcel le Guen, from the French CGT construction trade union, has intimate knowledge of asbestos; he worked for Eternit for over 30 years. For years, the French trade unions campaigned for justice for asbestos-affected workers and finally the government acted to support these people by setting up a national asbestos fund (FIVA). According to the most recent available figures, FIVA has made 32,000 offers of compensation, worth €1.2bn to asbestos claimants; while the majority of claims are for pleural plaques and fibrosis, 35% are for occupationally-caused asbestos cancer. There remains amongst at-risk groups of workers a sense of bitterness over the sword of Damocles which hangs over their heads as no one can predict who will contract deadly asbestos diseases. The increasing cost of asbestos compensation and support for the injured led the Labor Minister in January 2008 to commence a review of procedures. It is expected that the strict requirements now in place to obtain asbestos compensation are likely to be made even stricter. In addition, there is a big problem with the enforcement of regulations regarding asbestos removal; there is significant confusion about legal requirements as regulations can vary from town to town. A central tenet of trade union policy is the precautionary principle which should be applied to all situations where asbestos is present or even is suspected of being present. In 2007 a Labor Ministry study of 936 asbestos removal sites found that the vast majority did not have adequate safety procedures in place; 76 anomalies were noted and 517 violations were observed. The situation in 2007 was far worse then it was in 2005. There can be no room for complacency wherever asbestos is present. As a member of the BWI-affiliated Russian Federation, Construction and Building Materials Union, Boris Soshenko was invited to make a presentation at the conference. 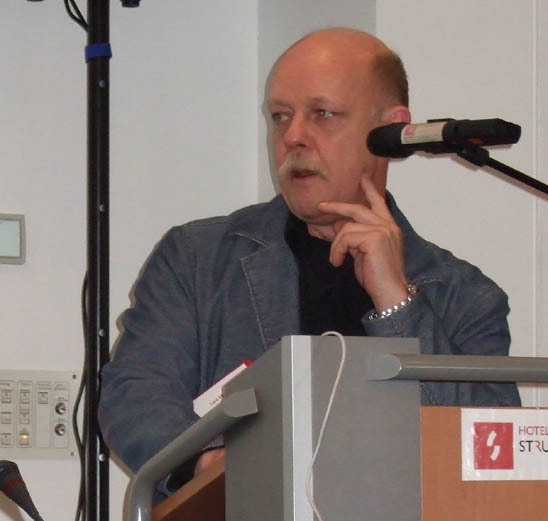 The fact that Soshenko is also a founding member of the International Trade Union Chrysotile Alliance5 left little doubt in delegates' minds as to the likely content of his presentation. Soshenko said that having studied all the material provided by the BWI and others as to the dangers of chrysotile, as a friend, I really do not know where the truth lies. He called for more dialogue and honest discussion on these differences. The BWI's support for a global ban on chrysotile is not, Soshenko said, justified by the literature and cannot be supported by the Russian trade union which has copious amounts of evidence by our own scientists that prove the BWI is wrong. Soshenko questioned the authenticity of photographs shown in Vienna of asbestos victims saying he was not convinced that anyone had ever died from a disease caused by chrysotile. Asbestos has been mined in the Russian town of Asbestos for 120 years; whole generations had earned their living working in the chrysotile industry. Nowadays, with new technology, conditions are even safer. There are no valid arguments that prove that chrysotile kills; the research cited by the emotional ban asbestos proponents is one-sided. The disagreement between the Russian and BWI positions has not led to aggressive behavior by the chrysotile supporters but rather to calls for a reassessment of the situation. Soshenko pointed out that his union's position is shared by many trade unions and associations in the CIS states where tens of thousands of people have employment in the asbestos industry. It is relevant to remark that upon completing his presentation, the speaker did not receive any applause from the audience. 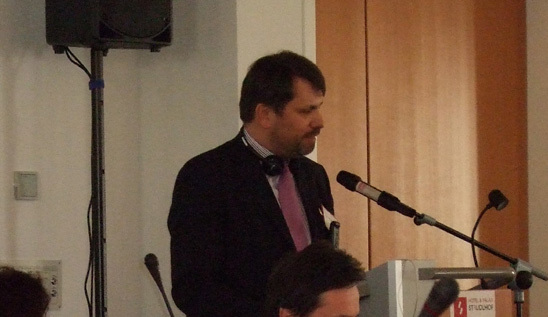 Vasyl Andreyez, from the Construction and Building Materials Industry Workers' Union of Ukraine, was the next speaker. For decades, Ukraine has received shipments of raw asbestos from Russia and Kazakhstan; it is used to make asbestos-cement roofing and pipes. Ukraine was reassured by asbestos stakeholders, including Soviet Ministries and legislative committees, that the use of asbestos was safe. Andreyez thanked the BWI and the speakers at the conference for providing reliable and independent information on the hazards of asbestos. The privatizations which have swept through Ukraine since it become independent (1990), have had a negative impact on trade union activities. None of the 12 asbestos-cement roofing factories allowed trade union representation. As work was so hard to find during this period, no one questioned these policies; workers were just happy to have an income. Some of these companies were owned by multinational corporations from Germany, the Russian Federation and elsewhere. Their corporate headquarters were far removed from Ukraine and issues regarding health and safety did not feature high on corporate agendas. We have now overcome some of the initial difficulties and the trade unions, the speaker said, are operating in all of the 12 companies. However, the economic situation in Ukraine remains bleak. Since independence, 3 million people have emigrated to get better jobs. A construction worker who earns $450/month in Ukraine can earn five times that amount in the Russian Federation. In the last 15 years, only 35 deaths due to asbestos-related diseases have been acknowledged. Whether this is a lot or a little, I don't know, said Andreyev the clandestine figure  the grey zone  is unknown. In many cases, doctors say death is due to smoking and in others blame cancer caused by other agents or say death was due to serious pulmonary difficulties or respiratory problems. Despite the risk of working with asbestos, 6,000 people in small towns and villages are employed at the asbestos factories. If they close down, there are no other jobs. Therefore, the unions tread a fine line between health and safety and jobs. The campaign for improved working conditions and conversion to safer technologies will continue. Regarding the issue of asbestos substitutes, the price differential is an important consideration as cheap asbestos roofing tiles are popular in rural areas. If they are to be replaced by, for example, by metal alternatives, the cost will be higher. avenues for international cooperation including ongoing projects, the listing of chrysotile under the Rotterdam Convention, the ILO conference in Seoul and future initiatives by trade unions, labor federations, victims' groups and international agencies. Anita Normark, the General Secretary of the BWI, brought the conference to a close. Some 30 years ago, she began her career working in the construction union in Sweden; asbestos was one of the biggest priority issues then. With the cooperation of employers, mobile health and safety centers were set up, staffed by doctors and nurses, so that construction workers could be examined and diseases could be diagnosed at an early stage. This was a very effective program. In the early 1980s, Normark was working in Geneva for the IFBWW, the precursor of the BWI, and one of her jobs was to go to the ILO for the first meeting to discuss the ILO Asbestos Convention. She has often been shocked by how asbestos industry stakeholders have used fair means and foul to influence national and international asbestos agendas; she is no longer surprised by anything they do. The BWI is rock solid on its asbestos position and is working closely with international organizations such as the ILO, WHO, ISSA, UITBB, Labor Inspectors and others to push forward urgent action on the global ban. There is no time for bureaucracy or delays  people are dying. A ban is just the beginning of the story as so much work is needed to protect humanity from the asbestos hazard contained within our countries. Only governments can take action to ban asbestos. The transition will not be easy but the BWI and its staff are willing to work with trade unions and governments to achieve these changes. In Russia it will certainly be difficult but unless the BWI-affiliated unions take a stand and lead the transition movement, nothing will change. The BWI position on asbestos is clear and its commitment is total. Promising that: wherever we can and wherever we are, we will be discussing these issues, she brought the official proceedings to an end. The Building and Woodworkers International (BWI) International Asbestos Conference in Vienna in February 2008, attended by representatives from Construction Trade Unions from 33 countries, the International Union of Building and Wood Workers (UITBB), the International Social Security Association, the International Association of Labour Inspectors and the International Ban Asbestos Secretariat, issue the following declaration. The organizations represented at the Vienna Conference are committed to promote the global ban of all forms of asbestos from the construction industry and from all other industrial sectors; to promote the effective regulation of work with in situ asbestos in demolition, conversion, renovation and maintenance works by law; to work for the elimination of diseases caused by asbestos; to promote social justice for those affected by asbestos. Take immediate steps to ban all mining, manufacture, recycling and use of all forms of asbestos and asbestos-containing materials as soon as possible. Undertake and support all measures intended to eliminate asbestos and asbestos- containing products from the economic cycle and to replace asbestos with less harmful products. Ratify and implement the provisions of ILO Convention 162 (1986), Safety in the Use of Asbestos, and to implement the provisions of its accompanying Recommendation 172 as a minimum standard not to be fallen below. Increase pressure on the countries producing and exporting asbestos  namely Canada, Russia, Kazakhstan, China and Brazil. The signatories to this declaration commit themselves to a thoroughgoing campaign to implement the objectives outlined herein. 1 This is around US$ 200,000 per year. 2INRLF: Indian National Rural Labour Federation; TCWF: Tamil Nadu Construction and Unorganized Workers Federation, a federation of seven trade unions affiliated to BWI in the state of Tamil Nadu with an overall membership of around 150,000. 3 Those in the high risk groups, i.e. those likely to get lung cancer, get CT scans every year; the others get X-ray screening of the thorax and lung every other year. 4 There are 3,000 asbestos-related deaths/year in France and 800 fatal occupational accidents.